As you approach Ormskirk Parish Church the first thing that strikes you is the unusual fact that the building has both a tower and a steeple, both next to each other. The steeple sits on an earlier smaller tower, built in the late 1300s. The double tower and separate steeple combination is very rare in England, and it is even more unusual to have them both at the same end of a church. However, it is the huge Tudor tower that captures the eye. 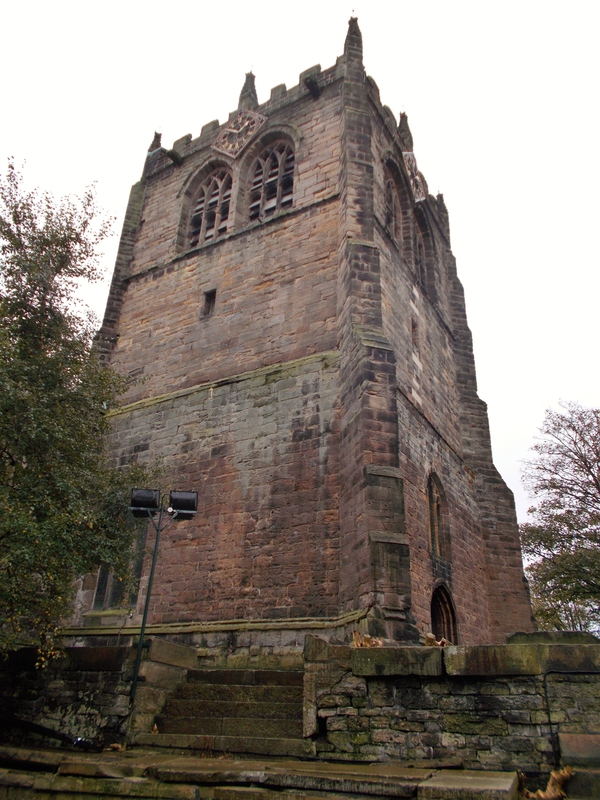 This was built in the 1500s with stone taken from the nearby monastery of Burscough Priory, to house the five bells also taken from there when it was dissolved under Henry VIII. The church had a long association with the priory, having been given to it in 1190 when the priory was founded. Presumably the new tower was built to house these five bells, as the original church tower was not large enough. One of the bells still survives in the church, but is no longer rung. A walk around the outside of the church reveals an older history of the site. Like many parish churches, it is on a raised area overlooking the town. The name Ormskirk is Old Norse (Viking) meaning “Orm’s C hurch”. Although nothing remains from this time, there is a stone from the 1100s set into the eastern outside wall that can be viewed. It shows a man and a woman, side by side. They have distinctive long oval faces and their clothes can be clearly made out. 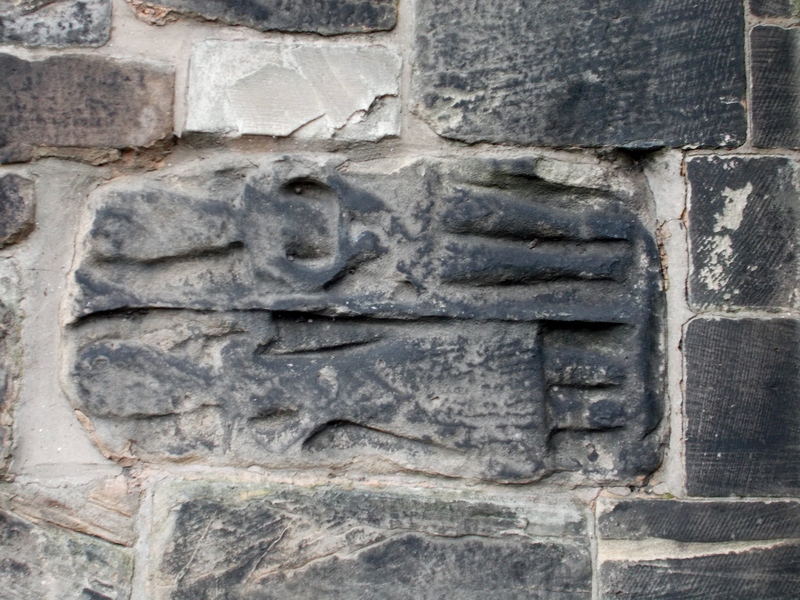 It had been thought that this was a Saxon carving, but now it is thought to be of Norman origin. Most of the rest of exterior of the church is Victorian. Inside the church are carved medieval knights and ladies, and medieval brasses. The font is from the Stuart era. The interior is locked most of the time, but is open to visitors on Thursdays and Saturdays 10.30 am to 2.30 pm, but only in the summer months. The exterior features of the churchyard, towers and the Norman carving can be seen throughout the year and are well worth a visit. Parking: Ormskirk has lots of parking in town. Head for the clock tower in the centre of town and then walk up Church Street to see the church.